The letter "BPA ban bill changes rules mid-game," printed March 30, has some misstatements I would like to clarify. The letter “BPA ban bill changes rules mid-game,” printed March 30, has some misstatements I would like to clarify. L.D. 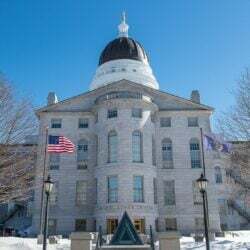 1181, sponsored by Sen. Seth Goodall, would help to increase protection of Maine children and families from dangerous toxic chemicals. I agree that businesses need certainty — certainty that the products on their shelves are not harming their customers. Keeping consumers in the dark about their products is not a “good for business” practice. Previous bans on bisphenol A in baby bottles and sippy cups in Maine were clearly not bad for businesses. These items are made by big industries that have the capacity to change their products. The market has now simply shifted away from BPA in reusable plastic containers. The letter says the FDA rejected the banning of BPA because of insufficient evidence. Actually, the FDA has chosen to ignore dozens of peer-reviewed scientific studies, relying instead on a small number of studies conducted by FDA scientists and scientists funded by industries that manufacture BPA. Since the federal government won’t act, the states need to step up. Goodall’s bill, L.D. 1181, is not about banning BPA. The bill, however, would eliminate an arbitrary exemption on food packaging for kids ages 3 and up. That exemption also currently blocks the state from gathering any information about the use of BPA in food packaging that kids eat from every day. The proposed ban on BPA that the author is referring to, L.D. 902, is a ban on BPA only in baby food and infant formula sold in Maine, not all BPA. The Board of Environmental Protection unanimously endorsed this proposal. I urge the Legislature to look at the facts and pass both L.D. 902 and L.D. 1181.